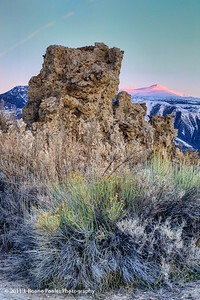 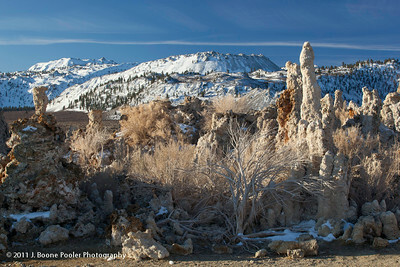 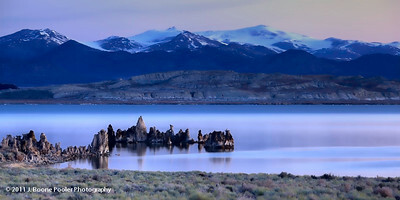 Mono Lake Tufa State Natural Reserve - The reserve was established to preserve the spectacular "tufa towers," calcium-carbonate spires and knobs formed by interaction of freshwater springs and alkaline lake water. 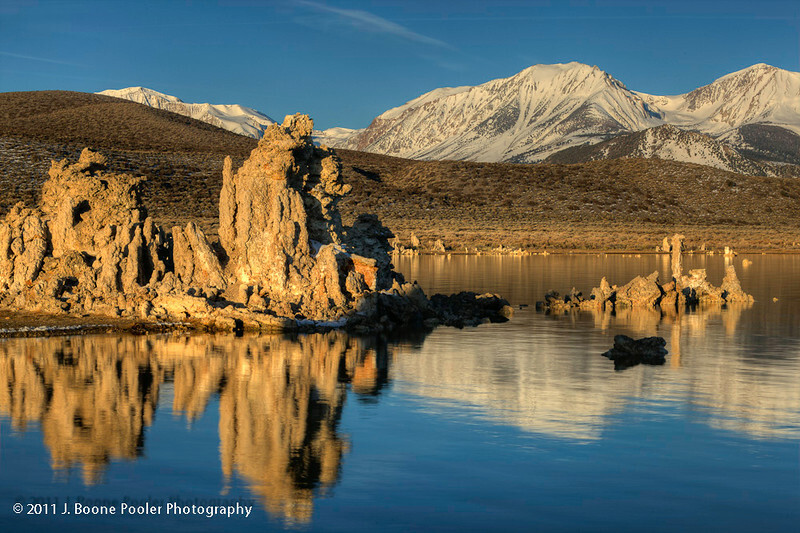 It also protects the lake surface itself as well as the wetlands and other sensitive habitat for the 1 - 2 million birds that feed and rest at Mono Lake each year. 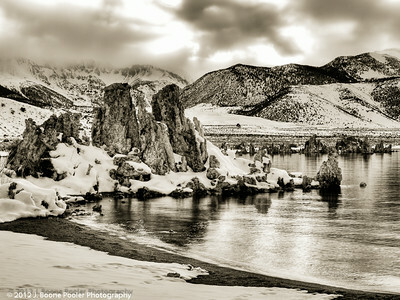 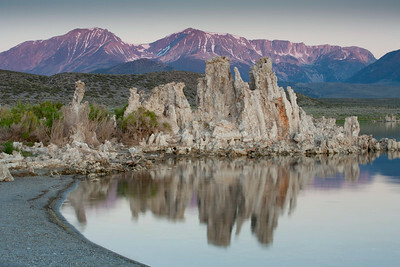 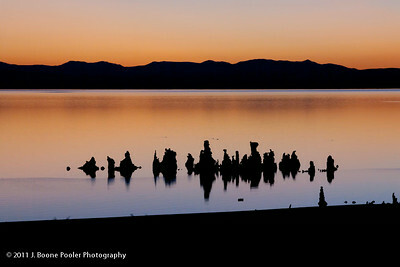 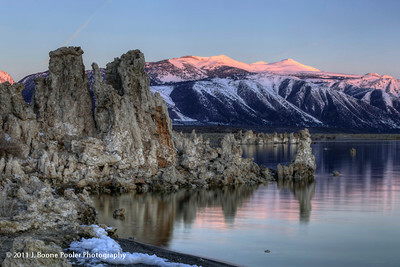 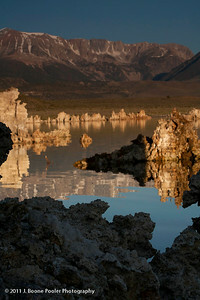 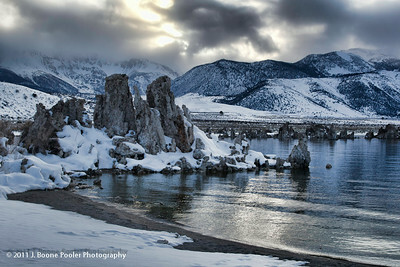 Mono Lake is a majestic body of water covering about 65 square miles. 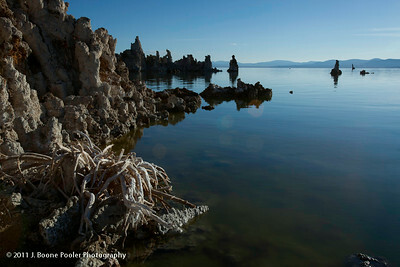 It is an ancient lake, over 1 million years old -- one of the oldest lakes in North America. 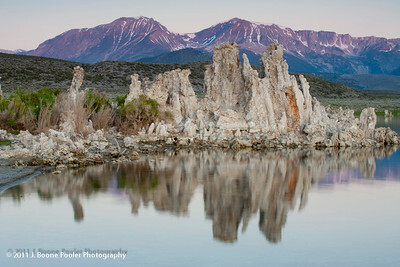 It has no outlet. 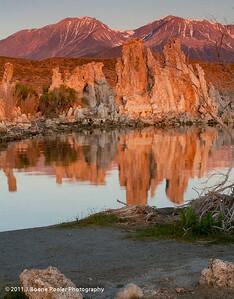 Throughout its long existence, salts and minerals have washed into the lake from Eastern Sierra streams. 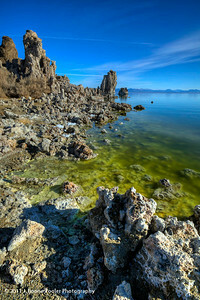 Freshwater evaporating from the lake each year has left the salts and minerals behind so that the lake is now about 2 1/2 times as salty as the ocean and very alkaline.